Visit Barbados, an island paradise with beaches galore. I am sharing my favourites with you. Admittedly, I have very strict criteria for a ‘favourite’! I like a deserted beach … you know the kind …. 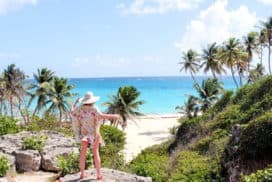 … Continue reading My Favourite Barbados Beaches – All around the island!